What We Need for July 19! Hi everyone! 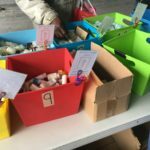 We are quickly approaching another giveaway, and have our monthly traffic light shopping guide ready for you to peruse. 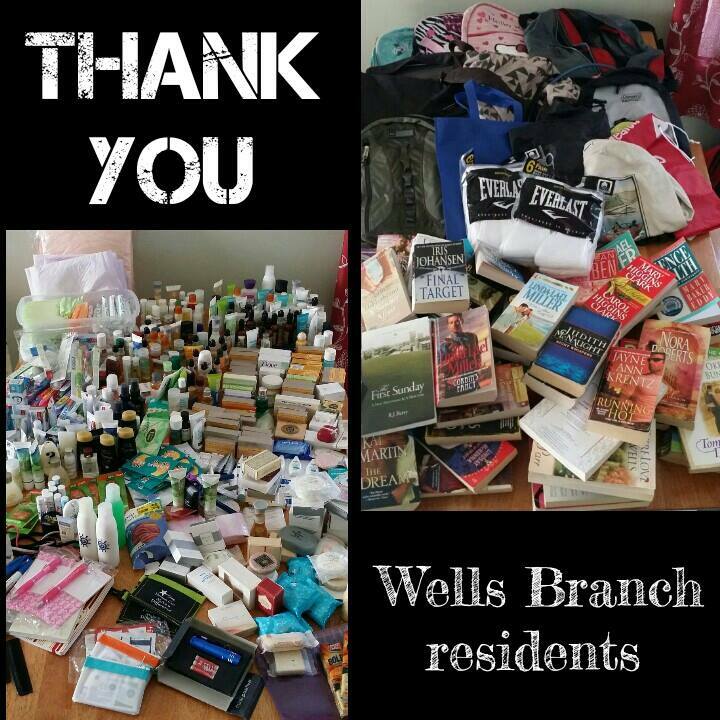 Thank you to all who have donated! We couldn’t do what we do without you! 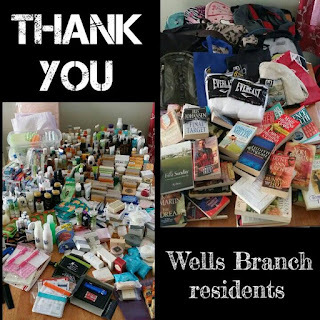 A special thank you goes out to the residents of the Wells Branch neighborhood, who generously donated over 800 items during their “Extreme Clean” event this month. You’re awesome!! We appreciate it so very much! 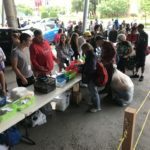 If you have items that you’d like to donate, please email our donations coordinator at atxahhdonations@gmail.com, or use the Donation Pick Up Requests email form on our Contact page. 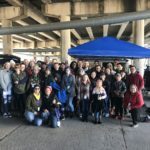 She’ll match you up with the volunteer that’s closest to you – we have volunteers all around the Austin area – and we will arrange a pick up date & time that works with your schedule. If you’d like to donate, but don’t have anything at home, please check out our Amazon wish list. Amazon sellers will ship your gift directly to us for use at our next giveaway. 1) We would also love to take any empty travel-size (4 oz or less, please) bottles off your hands! We occasionally get full-size bottles of shampoo, lotion, etc., donated, and would like to put them in smaller bottles. 2) We would love to get your plastic bags! We go through a lot of them at the giveaway, but we’d like some extras to make plarn. Plarn is plastic yarn that can be made out of strips of plastic bags. 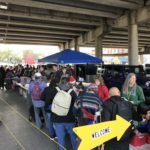 The ATXAHH Gettin’ Knotty group is planning to crochet the plarn into sleeping mats that are soft, durable, & water resistant, which is especially important for the people who sleep outdoors/on the ground. If you’d like to learn more about our group, please “Like” us on Facebook and follow us on Twitter. We hope everyone is having a fantastic summer! Thanks for reading, and we hope to see you on the 19th!